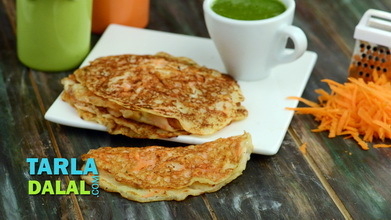 Delightfully crisp, golden-coloured pancakes made of a rice and urad dal batter, Dosas make a more indulgent breakfast compared to easy, steamed idlis! 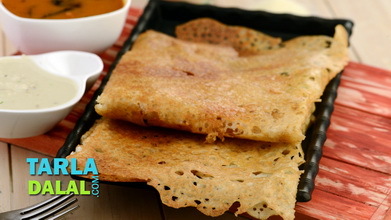 Combined with chutney and sambhar, Dosas are sumptuous and tasty, fit to be had not just for breakfast but for evening tiffin or even dinner. 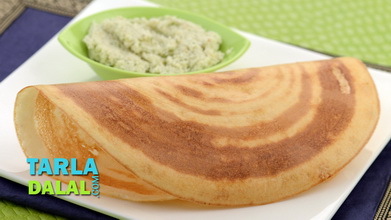 While some people like to make Dosas with leftover idli batter, others who do not like even a slight sourness make fresh Dosa batter using the proportions described here. You can choose either option, as you wish. 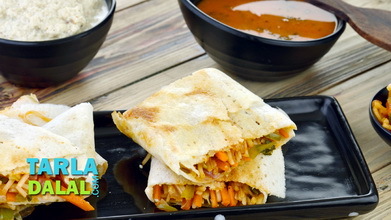 Not only that, the versatile Dosa offers a lot more choices. 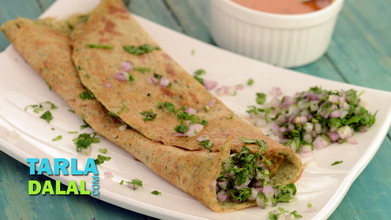 You can make it with oil, ghee or butter; in an iron griddle or a non-stick tava; plain or with a stuffing of potato bhaji or a layer of chutney! 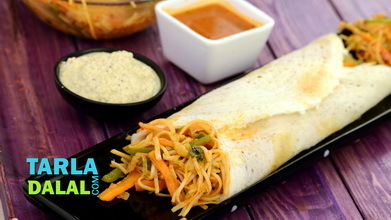 Enjoy your Sada Dosa fresh and hot, just the way you like it. Wash and soak the urad dal, fenugreek seeds and enough water in a deep bowl and mix well. Cover with a lid and keep aside to soak for 4 hours. Wash and soak the par-boiled rice, raw rice and thick rice flakes and enough water in a deep bowl and mix well. Cover with a lid and keep aside to soak for 4 hours. 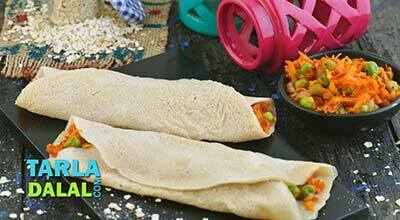 Drain the urad dal and fenugreek seeds and blend in a mixer to a smooth paste using approx. 1 cup of water. Transfer the mixture into a deep bowl and keep aside. 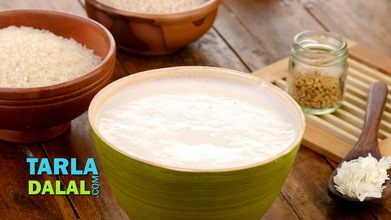 Drain the par-boiled rice, raw rice, and thick rice flakes and blend in a mixer to a smooth paste using approx. 1 cup of water. Transfer the mixture into the same bowl of the urad dal batter, add the salt and mix well. Cover with a lid and keep aside to ferment in a warm place for 12 hours. Once fermented, mix it very well. 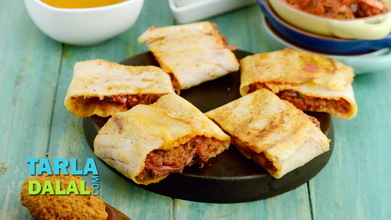 Just before serving, heat a non-stick tava (griddle), sprinkle a little water on the tava (griddle) and wipe it off gently using a muslin cloth. Serve immediately with coconut chutney, sambhar and malgapodi.